The election of 2012 is different from previous ones because of its fully automated set-up. Automatic voting machines, electronic ID cards for voters, and the fingerprint identification equipment will be used for the first time. The General Committee on Election has already made a contract with Dominion Voting System Company of The U.S. and the first machines are arriving in Mongolia soon, but when the electronic ID cards and fingerprint identification equipment will arrive is not as certain. The Democratic Party Group at the State Great Khural is worried about this potential issue. The action plan of Government to launch the electronic ID card program called ‘Policy of Millennium Development’ started in 2008. The First Deputy Prime Minister N. Altankhuyag promised to include all citizens in the new registration and approve the style of electronic ID cards. But this work was delayed and the style of electronic ID cards was not approved until November of 2010, creating a considerable setback. 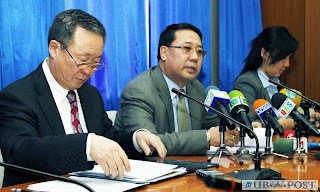 However, the printing equipment had already arrived in Mongolia, leaving the blank electronic ID cards to be printed. The Gemalto Company from France was selected from companies from The U.S., and Germany to provide the blank cards. The 6.5 billion MNT was required to purchase 1,999,995 blanks and the money was allocated by making an amendment to the 2012 State Budget. The advanced fee was transferred to the Gemalto Company on December 28 and they started their work. 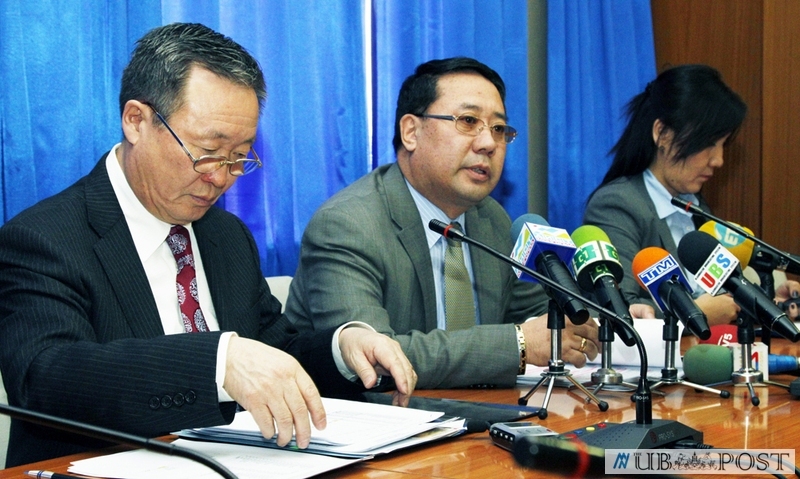 As specified in the contract, the blanks were to be received in Mongolia between January 16 and February 28. But the Gemalto Company notified that the size and layout, which was approved by the Mongolian Government didn’t fit Gemalto’s standard and equipment. They requested a change to the size and layout of the electronic ID cards. If not, the blanks would not be ready before June 20. At the same time as this request, the Democratic Party (DP) departed from the Cooperative Government and the issue of the ID cards went unnoticed. The General Authority for State Registration was under the authority of the First Deputy Prime Minister. But the First Deputy Minister position was dismissed due to the DP departing from the Cooperative Government. After this, the General Authority for State Registration went under the authority of Ministry of Justice and Domestic Affairs. The Ministry of Justice and Domestic Affairs immediately changed and approved the style of electronic ID cards on February 1. The State Secretary of the Ministry of Justice and Domestic Affairs, Chairman of the Information and Technology Department of the General Authority for State Registration, and officials from Bodi International Company visited Gemalto Company’s affiliate in Finland. Every encryption on the electronic ID cards are made one by one and every encryption must be validated by the Mongolian side. The blanks will be done after they are validated. They will arrive in Mongolia on June 1. As the Deputy Chairman of General Authority for State Registration L. Amarsanaa said, the electronic ID cards will be printed directly and handed to citizens before June 21. One week later after June 21, the election will be held. The printing equipment has the potential to print one ID card every three seconds, and has capacity to for 20 hours per day. According to these numbers, 48 thousand electronic ID cards could be printed every day.